Just eight players are battling for the almost half a million pound first prize at EPT London heading into Saturday's final table. And what a final table it is, with two former EPT Main Event winners, an EPT finalist and a UKIPT champion. The man to catch is Germany's Sebastian Pauli (6,130,000) who has a huge lead over UKIPT winner Kevin Killeen (2,470,000) in second. The season six edition of EPT Berlin is probably best remembered for a ridiculous armed robbery. Kevin MacPhee went on to win the title in the German capital that year and is well placed for another shot at a title (hopefully without any outside interruptions). The American will return in third with 2,430,000. Germany's Artur Koren (2,420,000) and Frenchman Jonathan Bensadoun (2,340,000) follow on what is an incredibly congested leader board. 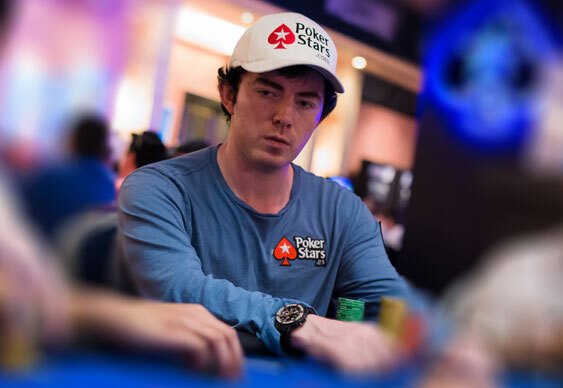 Jake Cody's quest for second EPT title is very much alive too. Rochdale's finest will start Saturday with a stack of 2,156,000 giving him plenty of ammunition for a deep run. Rounding out the final eight are Jakub Mroczek and super-hot Spaniard Pablo Gordillo. The dangerous Benny Spindler was the final table bubble boy. The German worked a short stack all day and must have thought he was in good shape for a double up when all in with AK. Unfortunately for him, Kevin Killeen tabled pocket kings to send Spindler to the rail with a £41,100 consolation prize. The final eight are guaranteed £51,900 with the eventual winner pocketing £499,700. Railbirds can follow all the action, complete with hole cards, via EPT at BluffEurope.com. Here are the chip and seating arrangements for Saturday's finale.